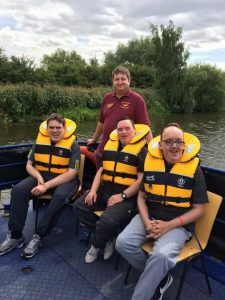 For 30 years, the crew onboard at the Ethel Trust have been building confidence and giving independence to young people through a unique waterborne experience like no other. 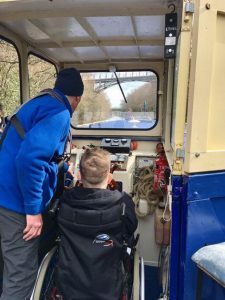 The trust’s purpose built eponymous boat, the Ethel, provides free day trips and overnight residential outings for children and young people with autism, educational needs or physical disabilities. Through their flagship project, Unlocking Confidence, the Ethel Trust put on 70 day trips and ten two-day residential stays during 2017 – all free of charge for those aged four to 24. Thanks to support from donors and fundraisers, this meant the trust was able to continue to offer educational and recreational excursions to local SEN schools and community groups. During the summer months, Ethel takes a rural trip up the Doncaster part of the Don from Thorne to Sprotbrough; while in winter, day trips start at Victoria Quays in Sheffield and pass some of South Yorkshire’s industrial highlights until reaching Tinsley Marina. Along with improving confidence, the naval adventure gives visitors the chance to build skills and knowledge to use in the future. For some, just setting foot on the boat can be a challenge, having rarely been out in the community. For others, the residential stays could be their first night spent away from home or the first time eating away from their dining room table. Many have no speech or communicate through Makaton, getting frustrated and angry when misunderstood. But for all, trip on the Ethel provides a completely sensory experience with lots of different new sounds, smells and sights that can be particularly therapeutic for those navigating the choppy waters of life. 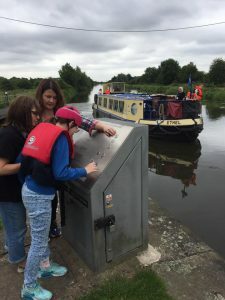 From teamwork and health and safety around water to hygiene and preparing meals, the experience also allows the children and young people to get hands on with steering the boat or opening the locks. The sensory experience also helps improve cognitive growth and motor skills while developing memory and improving social interaction. There’s more to this old girl than meets the eye. 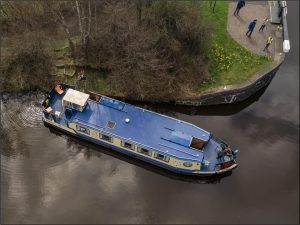 While local folklore suggests the name Ethel was taken from a lady who donated money towards the barge, this female vessel is actually the fourth Ethel of its kind. The first two were working boats, perhaps named Ethel after the owner’s wife. A third was acquired by the probation service and converted to passenger use to offer day trips for children with special educational needs and disabilities. However, the probation service ran out of money to fund it and so the boat was moored up and left to decay on the water for some while. Around the same time in 1988, a trust was formed to take over the service but Ethel was in dire disrepair and so headed downstream to the scrapheap. 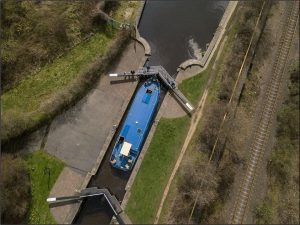 Following extensive fundraising and hard work by the trust, they managed to raise £100,000 to build a new 57ft broad beam canal barge in 1993. To make it fully accessible for all service users, the newest Ethel is fitted with hydraulic lifts, disabled toilets and showers plus handrails throughout. Run by a team of 35 volunteers – from retired firemen to dentists – who all dedicate their spare time to fulfil the lives of others, the Ethel is fully equipped with a galley kitchen and cabins and is licensed for up to 12 people plus staff. As it docked in Tinsley Marina one lunchtime, we clambered onboard to find out more about the dedicated team behind the scenes. Here we met skipper, Peter, who trains all the crew. He was joined by Rodger and Roger plus the only woman on the team, Mandy. Both Rodger and Roger had previous experience of the service which encouraged them to volunteer. Rodger Baxby’s wife taught Independent Living Skills at Hillsborough College and used Ethel as part of the course’s practical modules. 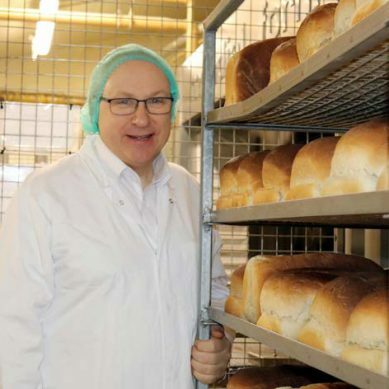 When she knew the trust was looking for more volunteers, Rodger’s wife suggested he would be great for the role and he has since been involved for four years. As a new volunteer, Roger Simmons was the ideal choice for safeguarding officer having had years of experience working with disabled children. Following a career in engineering, Roger retrained as a youth worker after volunteering at Sheffield Mencap. Roger worked as a youth development officer for Sheffield Council before moving to Bents Green Specialist Secondary School in Fulwood who also used the service. The team were busy working with Unlocking Confidence project co-ordinator, Tim Miskell, who joined the trust 13 years ago following a long-serving career in the police force. Also there on the day was a group of children from Woolley Wood School in Parson Cross who were enjoying their lunch after a busy morning. 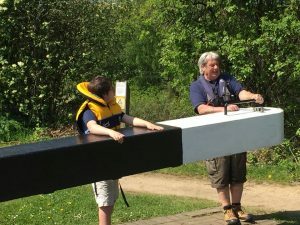 Offering a different learning experience from that in the classroom, the barge trips help students feel at one with nature. 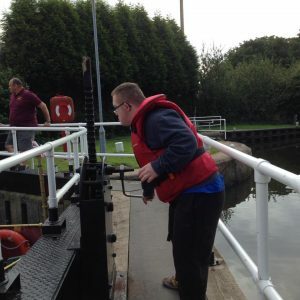 Starting at 10am, a typical day trip sees Tim meet the group and undertake a risk assessment to gauge the group’s age, behaviour and health issues as well as practicalities of getting on and off the boat. With safety the quay to the day’s success, Tim then interacts with the group to help them understand the dangers of the water and how to listen to and interpret instructions given. Once life jackets are secured it’s time to set sail along the Don. 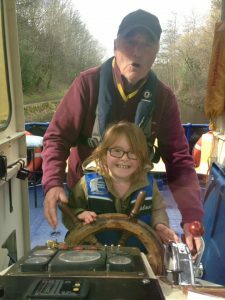 Whether passing old factories along the winter urban route or leafy scenery that lines the summer countryside route, there are various opportunities for the children to get off the barge and help unwind the locks or operate bridges. On mooring up for lunch, the group then get the chance to turn the cabin into a mobile classroom and talk about some of the things spotted during the morning. From local history and transport to ecology and geography, relevant topics can be intertwined with the hands-on experience to extend language, communication and learning along the way. For community groups such as Young Carers or CLIC Sargent cancer charity, this free time enables the young people to talk about any issues they are facing in the solace of the serene cabin. Then it’s back to it as the return leg of the journey begins before the day finishes at 2pm. Alongside the day trips, the Ethel also plays host to residential stays where young people are able to have a sense of freedom and fun for a couple of days. 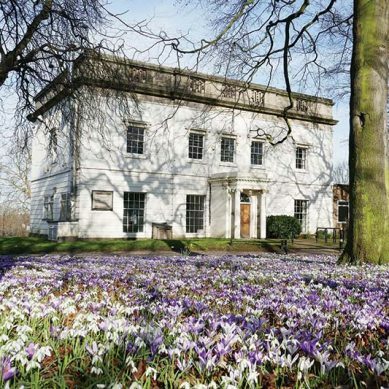 One school in particular who have benefitted from the service is Wilsic Hall Residential School in Doncaster whose students come from across the country and have profound learning disabilities, engagement difficulties or mental health problems. Due to the severity of the conditions faced by some pupils, other recreation providers have found the school too challenging to work with. But around five years ago, the Ethel Trust approached the school to offer their support and free service and have since formed a strong working partnership. 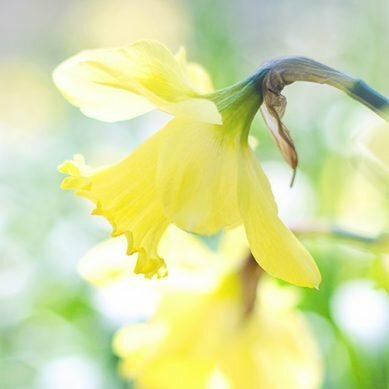 Last year, Ethel held her first sensory residential for a couple of Wilsic Hall students with acute autism. Working with the school’s activity co-ordinator, Sue Hunter, the crew dressed Ethel up with lights, streamers and bunting and played calming music which worked in harmony with the barge’s authentic sights and sounds. Sue also set up foot baths and performed reflexology for the students to relax them. Usually, the two students can’t engage for longer than 20 minutes and staff at Wilsic were doubtful they would get as far as the residential itself. However, thanks to a joint effort between Sue and the crew, they remained focussed until 8pm and were drawn to the peacefulness of their surroundings. 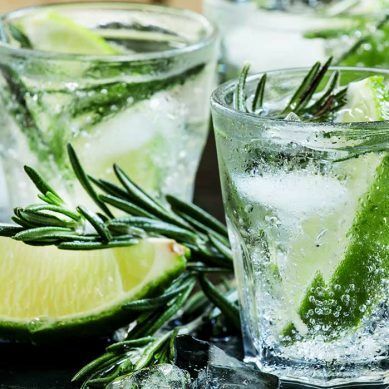 The residential stays also give the children and young people the opportunity to experience everyday situations they may not necessarily do at home including things we take for granted like going out for a pub meal or helping prepare food for the BBQ. Life skills such as sharing, taking turns, working as a team and laughing together are all part and parcel of the experience. As too are transferrable skills like gaining trust in others, listening to the crew and following instructions, all of which can only enhance their futures. One of the major advantages of the residential trips is the chance to spend some time away from the comfort and security of their homes. A liberating time for most young people with set routines and structured lives, this change from normality is often received with very little anxiety, cruising towards new optimism. For one young lad, sharing a cabin and sleeping in a different bed also brought with it an unexpected positive, having two consecutive dry nights for the first time in his life. As Sue Hunter so rightly says, the students have become proud of their achievements no matter how big or small. “Ethel Barge gives our young people the opportunity to succeed in new tasks and it is great to see those more anxious among the group physically relax thanks to the calming atmosphere and scenery. The students embrace the tranquillity, watch the bubbles and feel the hum of the engine. In order to inspire more young people and give hope to others, the Ethel Trust relies solely on donations and are currently funded by everyone from local charities to BBC Children in Need which allows them to continue to provide trips on Ethel free of charge. Earlier this year, one student from Wilsic Hall enjoyed his trip that much that his parents asked for donations for their 25th wedding anniversary instead of presents, giving the trust £550 to allow the service to carry on and help others like their son.